Heel pain, bunions, recent surgery? These are all great places to utilize the M6 MLS laser. Read on to learn why the M6 may be helpful for your condition. 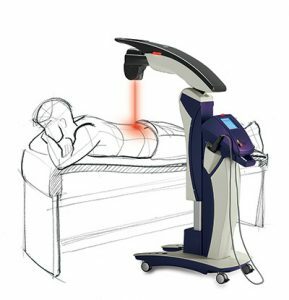 What is MLS laser therapy? How does it work? When it comes to a newer technology that has great potential, there are a lot of questions you might have. At our office, we offer MLS laser therapy for the treatment of a variety of foot and ankle ailments. It isn’t a treatment for everyone. 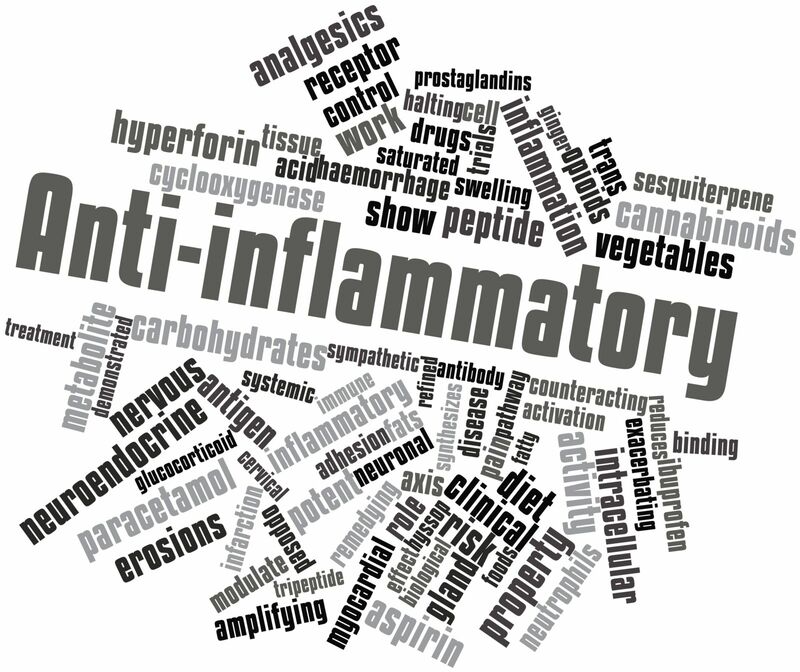 However, the risks of other modalities for anti-inflammatory and analgesic therapy are often higher than that with our laser. MLS stands for multiwave locked system. This term describes the patented laser’s specifications at our office. What is high power deep tissue laser therapy? This is a non-invasive, save and effective treatment where light is used to relieve pain, reduce inflammation, and promote wound and tissue healing. Our particular laser is the M6. It offers both a handpiece to address trigger point pain, as well as a robotic, programable arm which cycles across a larger span of painful and damaged tissue to provide light energy with healing properties. This particular type of laser penetrates tissue deeper than other lasers on the market and does not produce heat which means a painless treatment session. MLS laser has been cleared through the FDA since 2009 and has been used worldwide in the treatment of a variety of conditions. So how does laser work? How could something non-invasive be so effective in improving your foot or ankle condition? 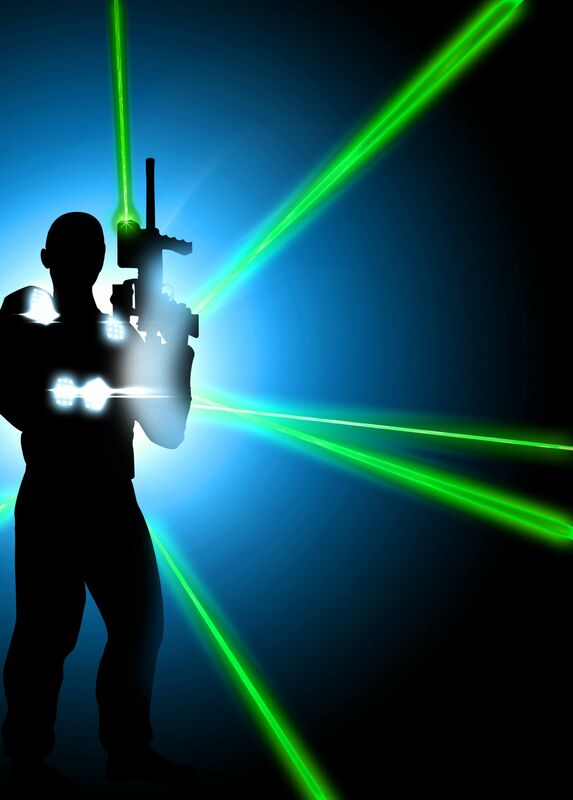 Laser works by converting light into biochemical energy which restores normal cell function. This allows for symptoms to resolve over the course of treatment. 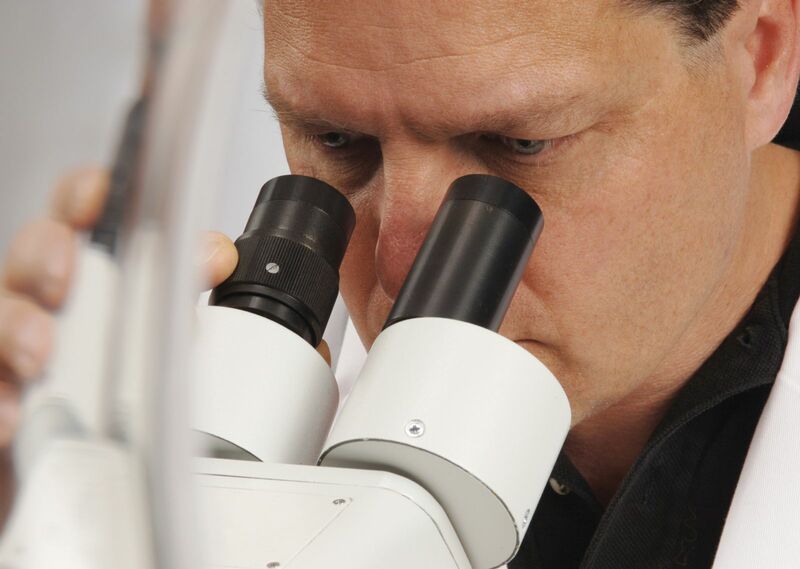 On a microscopic level, the laser stimulates cellular transport mechanisms in the mitochondria of the cell, the cell membranes and the epithelial tissue. This means that the laser results in chemicals in the body to be release which cause vasodilation - whereby the blood vessels in your body open up to allow your natural healing to be stimulated and/or enhanced. This stimulates DNA and RNA which are the building blocks in the body to synthesize. There is increased enzyme production as well as increased production of ATP (adenosine triphosphate) which is the main energy carrier in living things. Through all of these changes, the pH of the tissue in the body is restored, allowing your body the optimal environment to heal from the inside out. Vasodilation improves blood supply locally to the treated area and this helps the cells in your body to be attracted to the damaged or injured tissue. This means that your body can actually heal faster and you will experience an improvement in swelling as well. Laser therapy has benefits in your body’s lymphatic system, which results in an enhanced healing process. It aids in regeneration of tissue when there are injuries or tears in tendons. Treatments are performed in a series, as this promotes continuous improvement of your body’s healing process. Consider, for instance, you have heel pain caused by plantar fasciitis for the last couple of weeks. This pain has just been diagnosed by your podiatrist and you have been given information about laser therapy. Since your pain has been present only a couple of weeks and we know that tissue damage like this can take up to 6-8 weeks to fully heal, your treatment would span over the course of 3 weeks – 2 sessions weekly – for a total of 6 sessions which would improve your healing potential and reduce your time until healing or resolution of your condition. MLS laser is non-invasive and non-painful. There are no injections needed and no discomfort during the therapy. At the most, you may notice on rare instances a feeling of gentle warming to the treatment site as your blood flow is stimulated to the injured or damaged tissue that is being treated. In some instances, this therapy has been found to be more effective than physical therapy. The treatment itself takes between 5-15 minute to perform. The time depends on the surface area of tissue being treated as well as if more than 1 treatment site is being addressed at your visit. The number of recommended sessions is determined by your actual condition as well as how long it has been present. If your condition is relatively new (acute as we say), there are 6 sessions recommended. If you have been suffering longer and have a chronic condition, 12 sessions are required for full therapeutic effects. These treatments are performed 2-3 times weekly. When you feel improvement in your condition can also vary, based on what condition you are suffering from. That being said, many people feel some analgesic (pain relief) effects the following day. To feel a more consistent improvement in pain, up to 3 sessions may be performed before this. Some people have asked how long the effects will last. While the pain-relieving effects are not permanent, the fact that the laser is stimulating your body to heal naturally, there is not often a need for continued or recurrent treatments for one condition. 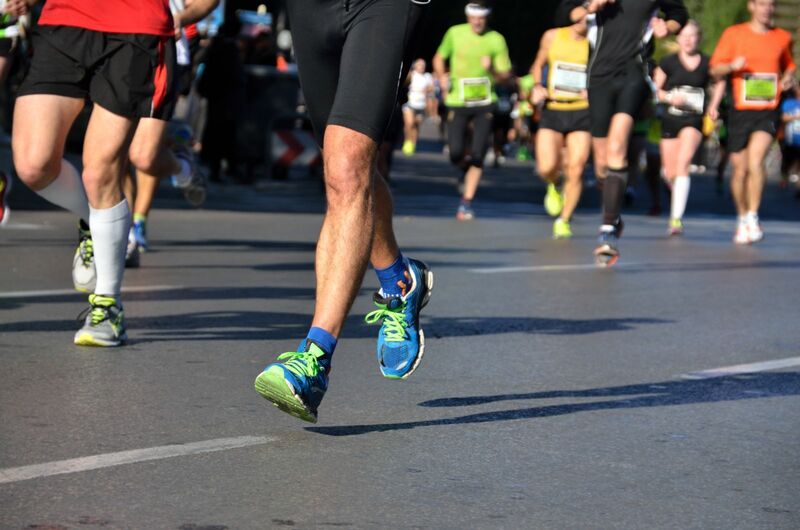 In podiatry, custom orthotics are often of great benefit to improve the biomechanics in the foot that caused your condition to present in the first place. This is the best way to prevent future bouts of pain and future need of laser therapy. MLS laser poses little risk to patients; however some contraindications do exist. Laser therapy is not recommended in patients with open growth plates – this generally means children 16 years and younger. If a steroid injection has been performed in the last 2 weeks, laser is not recommended, as the residual effects from the steroid may enhance hypopigmentation (lightening of the skin) to the affected area. Use of a neurotransmitter or pacemaker is contraindicated with laser therapy as well. If you have a history of leukemia, cancerous lesion or history of cancer in the treatment area, an active infection or are pregnant laser is also not recommended in these circumstances. If you have been diagnosed with a seizure disorder that is triggered by light, you should not pursue laser therapy. If you have a positive history of HIV, laser is not recommended. Relative contraindications means that your condition does not fully restrict your access to laser therapy, but that laser may have an effect on you. Prescription use of blood thinners, use of medication that causes sensitivity to light or having a tattoo in the area being treated are all relative contraindications. Our office is proud to offer MLS therapy to help get you back to your comfortable and active lifestyle with minimal risk. If you have a foot or ankle concern and want to know if laser therapy is right for you, talk to one of our doctors at your upcoming visit!